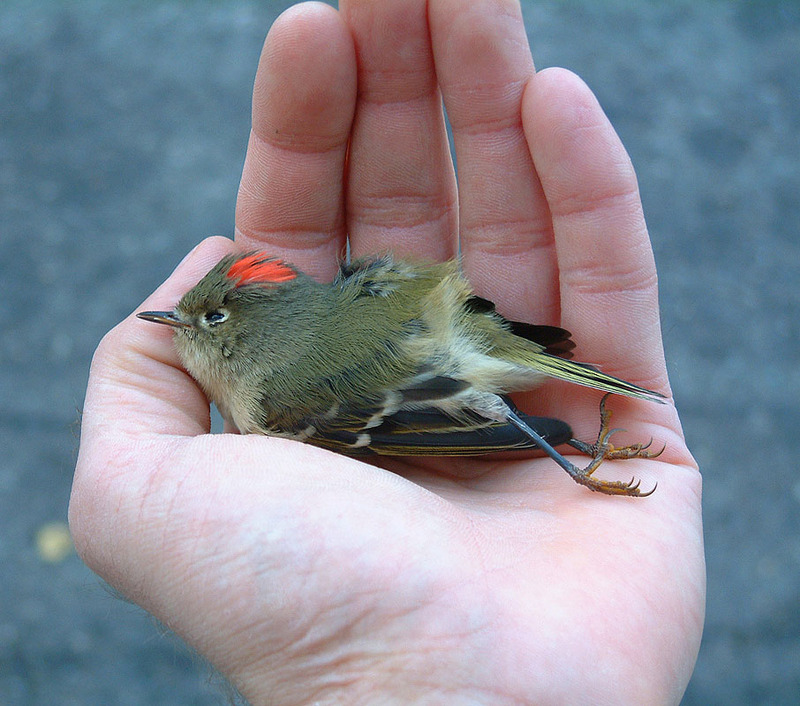 Over 300 species of birds migrate through New York City each year. 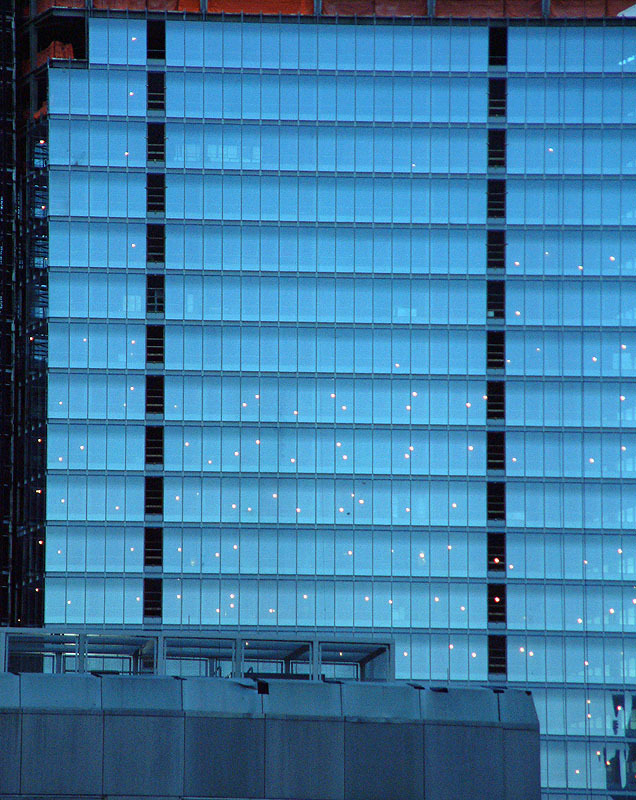 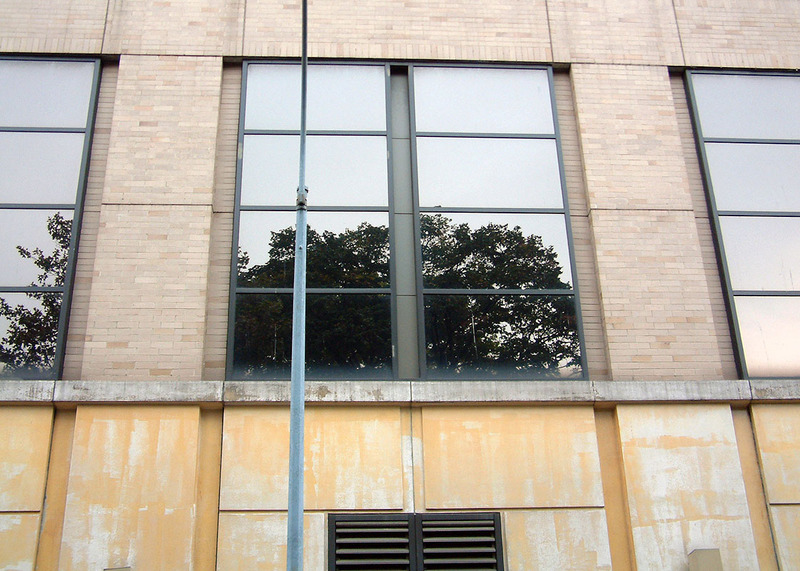 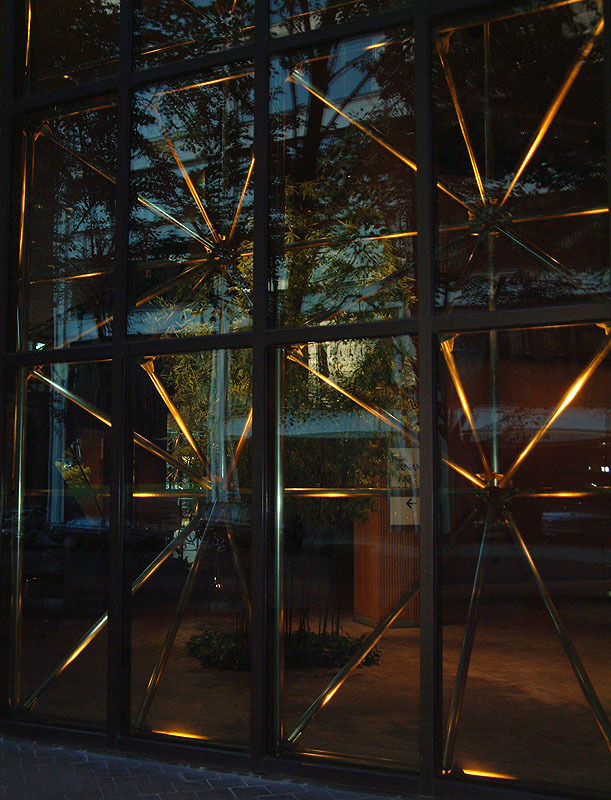 Many are disoriented by illuminated structures and mirrored glass on buildings. 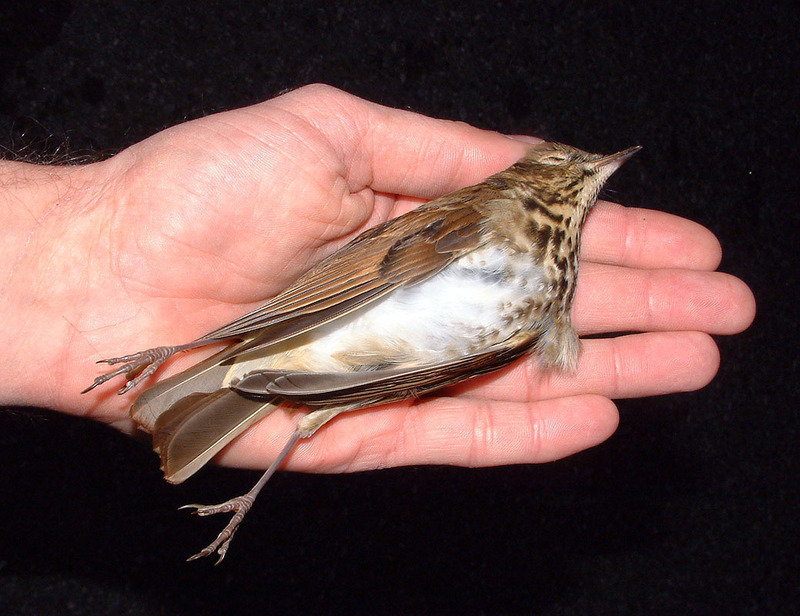 Unfortunately, thousands of these birds become exhausted, injured or killed. 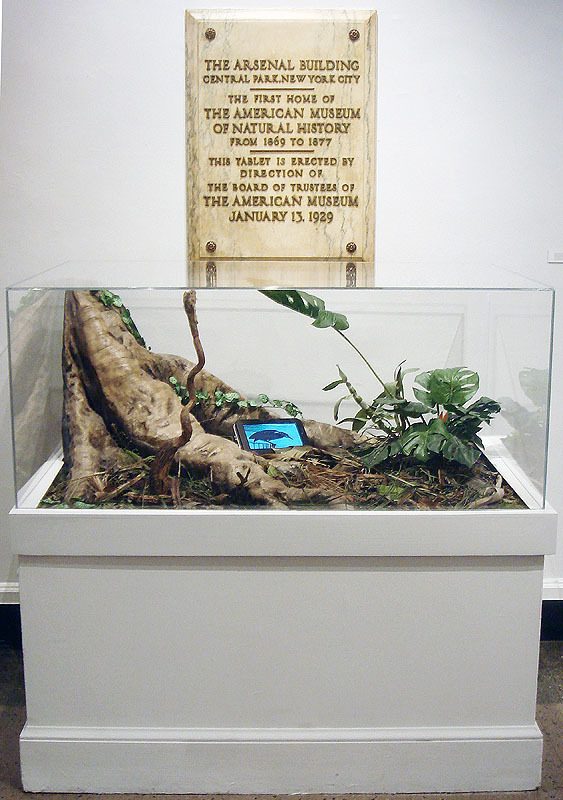 Responding to this issue an installation was created in New York City’s Central Park Arsenal Gallery in 2007. 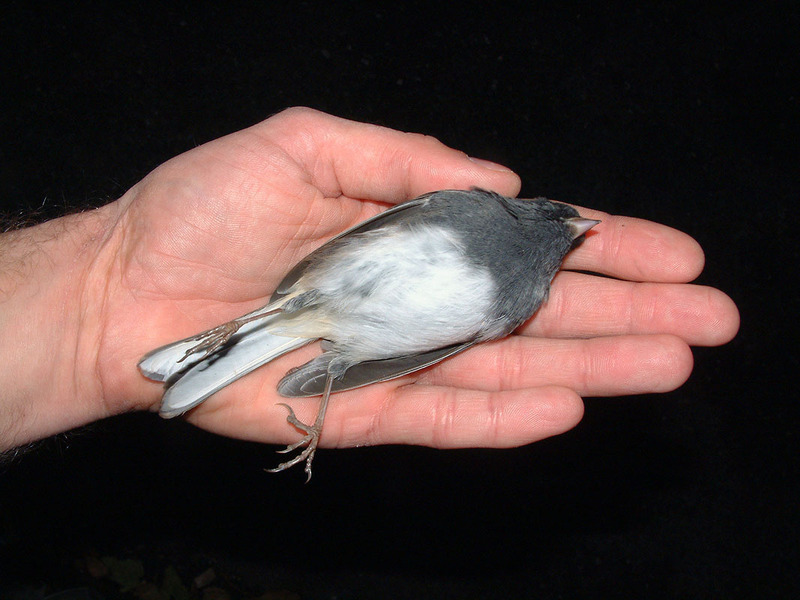 In addition to the exhibition, public ornithological field trips and rescues of migratory birds were conducted throughout New York City in 2006/07. 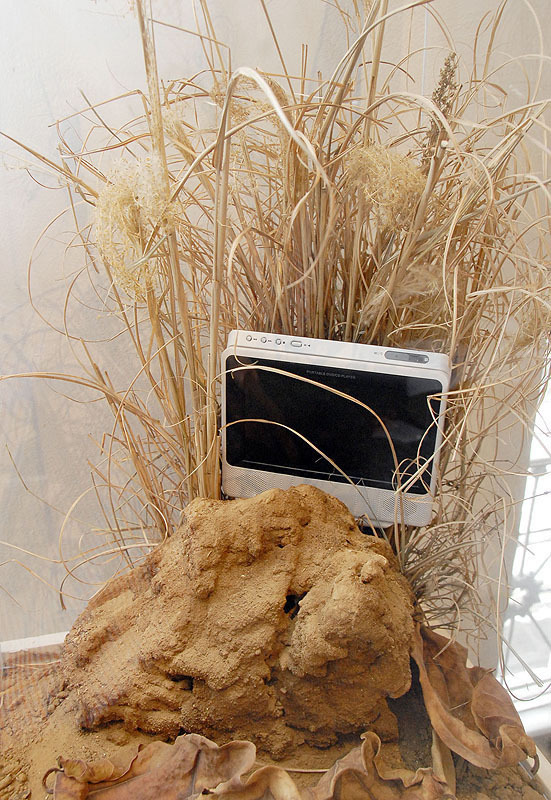 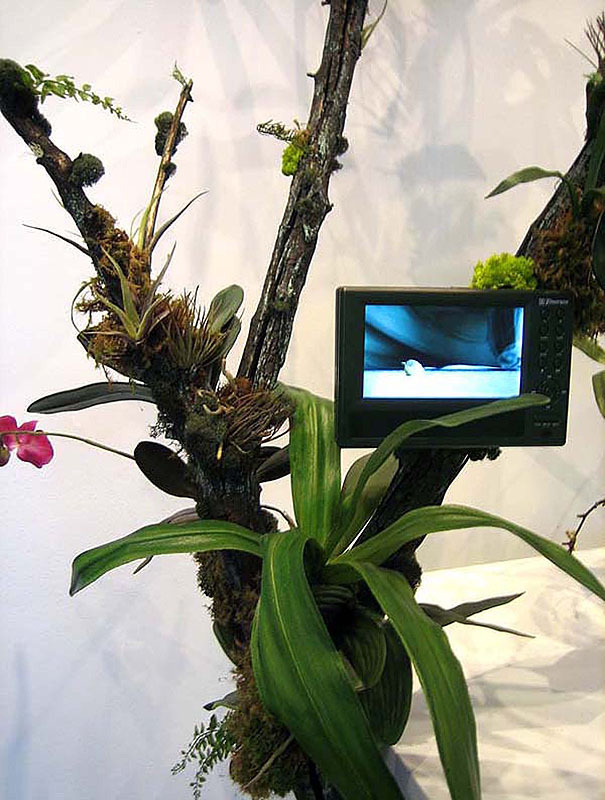 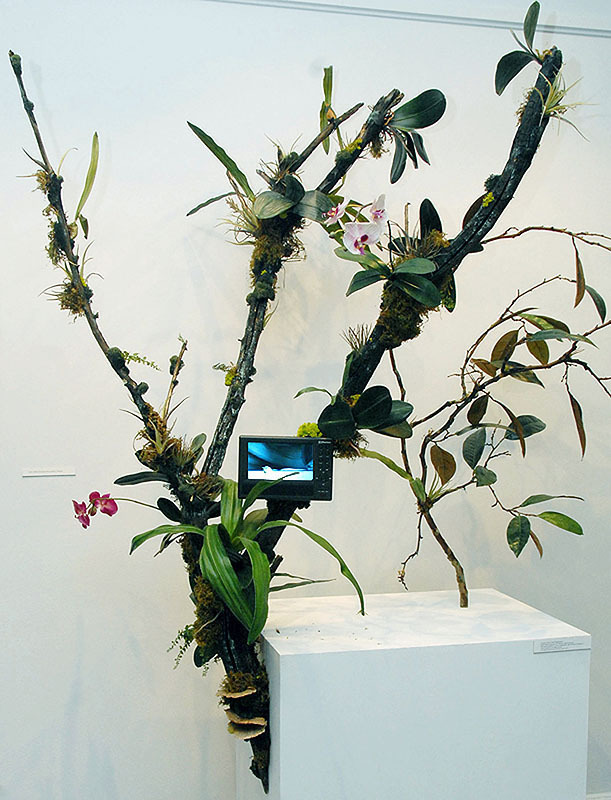 Vitrines and plinths were utilized to create tropical forest terrariums. 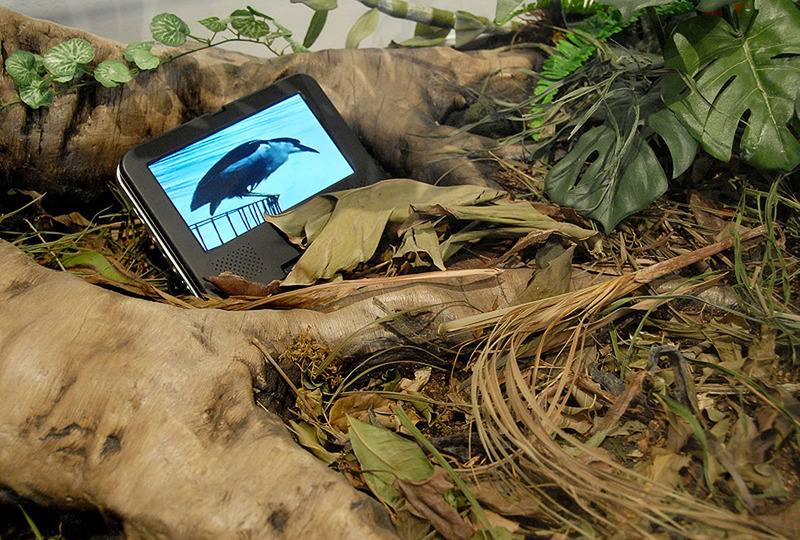 Each sculpture represented a distinct habitat (Lowland Rainforest, Cloud Forest and Dry Forest) where the birds recently migrated to New York from. 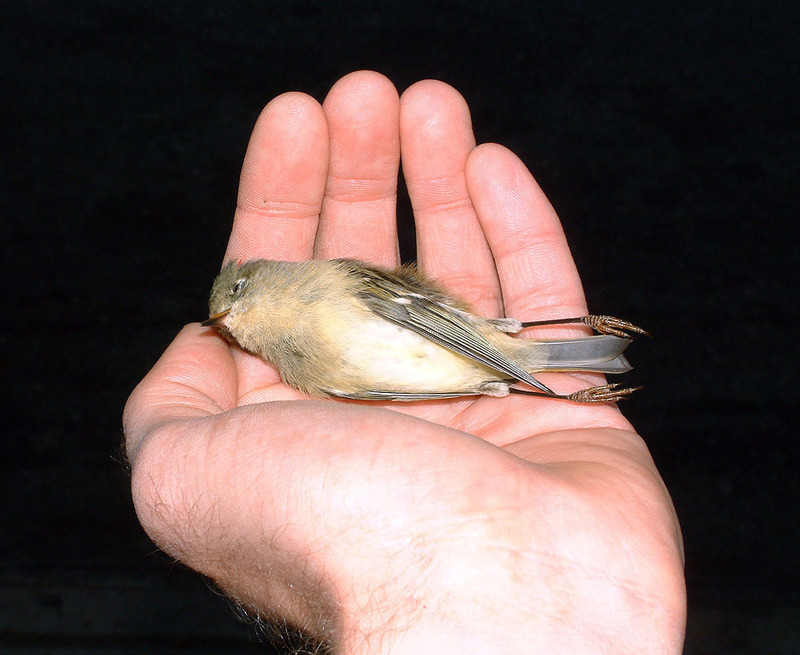 Each Displacement played videos of these tropical birds attempting to survive in New York City. 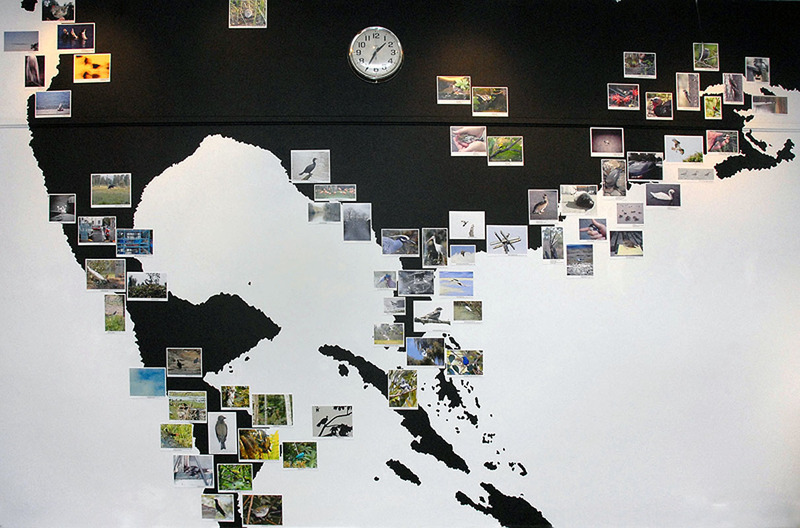 Was a collaborative component generated from hundreds of migratory bird photographs received through a public open-call. 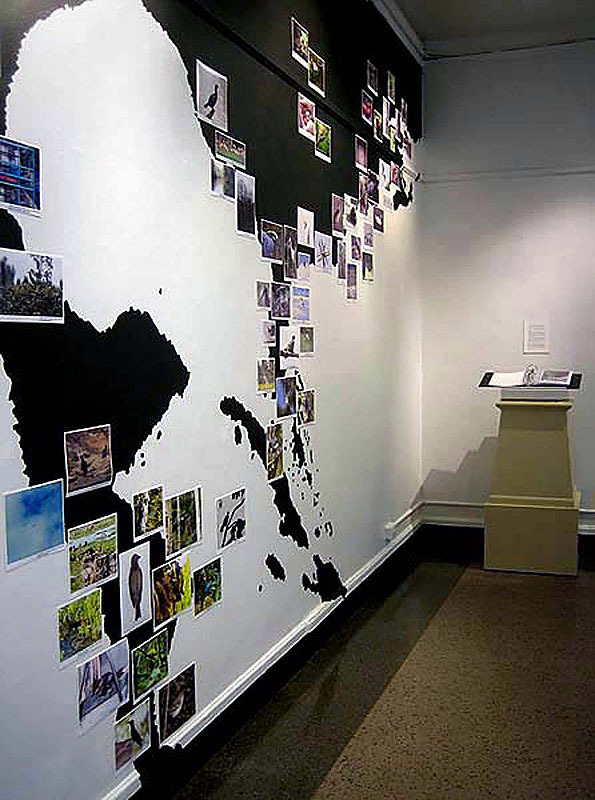 Selected pictures were mounted on a large painted mural of the Atlantic coastline demonstrating the seasonal migration of hundreds of bird species. 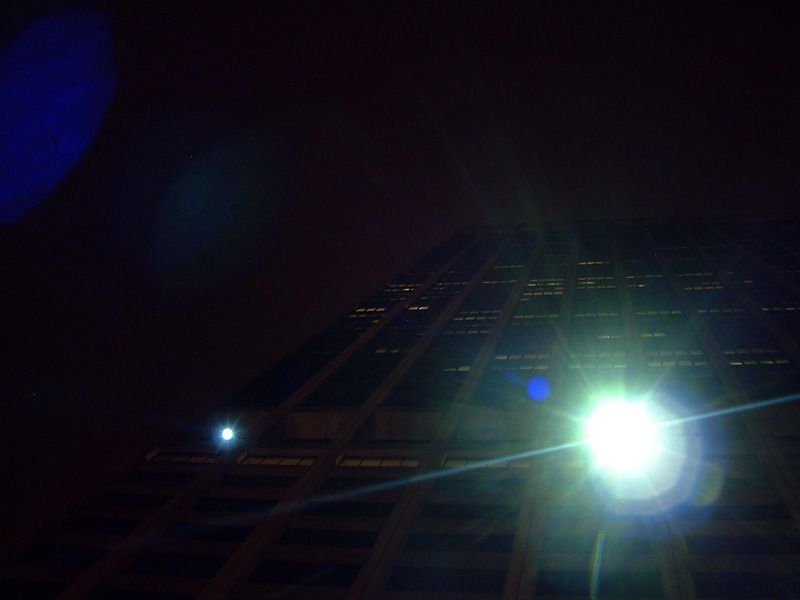 In this photographic series the issues of light pollution and mirrored windows among some New York City buildings were depicted.